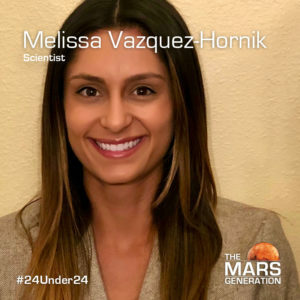 The Mars Generation is now accepting nominations for the class of 2019 24 Under 24: Leaders and Innovators in STEAM and Space Annual Awards. 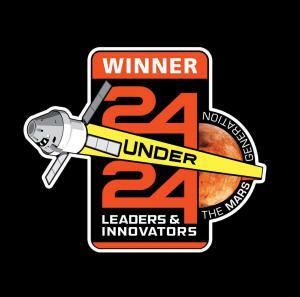 MINNEAPOLIS, MN, UNITED STATES, June 27, 2018 /EINPresswire.com/ -- Announced today, The Mars Generation is now accepting nominations for their second annual 24 Under 24: Leaders and Innovators in STEAM and Space Awards Program. The awards aim to recognize exceptional students and young people under the age of 24 around the world who are making a difference through science, technology, engineering, arts, mathematics (STEAM) and/or space. 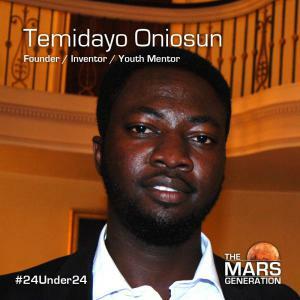 The 24 Under 24 Class of 2018 winners were involved in everything from STEAM-focused coloring books to finding new ways to generate clean energy to assisting the development of their nations space program. "We are excited to continue our partnership with The Mars Generation of building up the next generation of space explorers," said Tory Bruno, CEO of United Launch Alliance and TMG Advisory Board member. "United Launch Alliance is proud to support the 24 Under 24 awards program to help inspire and empower the students and young professionals poised to join STEAM industries at this critical time." All students and young people are encouraged to join the TMG Student Space Ambassador Leadership program at no cost. The Mars Generation is a 501(c)(3) nonprofit in the United States founded by Abigail 'Astronaut Abby' Harrison. The organization is volunteer-driven with a board of directors that includes astronauts, engineers, scientists and professionals from the nonprofit and business communities. With a reach of more than 25 million people in the organization’s first two years of operation and more than 1,500 students from around the world participating in its Student Space Ambassador program, over 600 donors, 1,200 members, and several space industry sponsors in place, the organization continues to grow and offer programs to excite and educate students and adults about the importance of human space exploration and STEAM education. The mission of The Mars Generation is to excite young people and adults about human space exploration and STEM/STEAM (Science, Technology, Engineering, Art, Math) education and foster an understanding of the importance of these two elements to the future of humankind on Earth. The goal of the organization is to advance public interest in human space exploration and advocate for NASA’s journey to Mars. The Mars Generation will also serve as a catalyst to identify students with an interest in these areas and nurture their study in STEM education. The focus of the organization is to build a collaborative network of community outreach efforts, working towards a collective goal of educating and exciting young people and adults about the importance of human space exploration and STEM education. The outreach will focus not only on exciting people about space, but also educating them about the economic advantage of investing in space exploration.